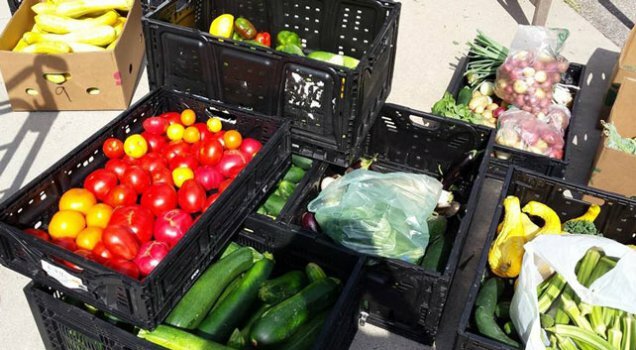 All types of fresh produce (fruits and vegetables), Eggs, and processed meats are acceptable donations. People who are food insecure usually don’t have access to fresh produce or the means to buy it. By donating this healthy option, you are giving them a gift that they may not receive otherwise. Consider planting extra in your garden and donating the excess to help those in need. Damaged produce is accepted as long as it is still edible. It doesn’t have to look beautiful but it should still be appealing enough that someone would want to eat it. Highly perishable produce such as tomatoes and lettuce should be donated soon after harvest. These items should be placed in tubs at pick-up locations the day of pick-up or contact us to pick them up at an earlier time. Produce should not be expired (contain mold). Please do not include "$", only numbers and decimals.